BEAUTY: "DKNY Million Dollar bottle." Be Delicious Fragrance fans, prepared to be dazzled! DKNY Fragranced has partnered with celebrity jeweler Martin Katz to create the world’s first million-dollar fragrance bottle. 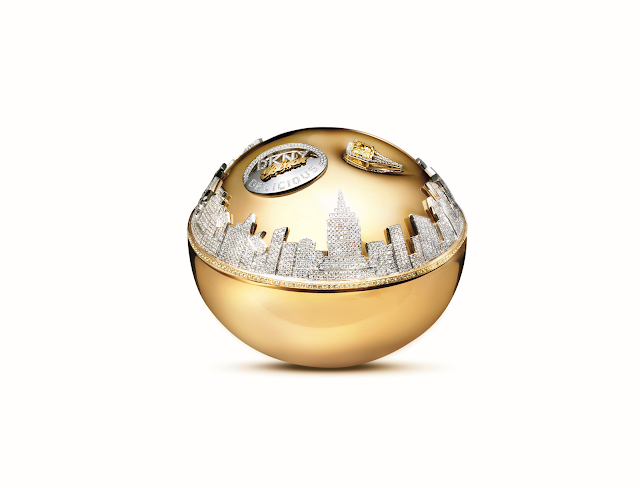 Bringing to life the rich and sparkling aromas of the new DKNY Golden Delicious Eau de Parfum, the apple-shaped flacon is adorned with rare jewels and will be capped off with a unique, round-the-world expedition making its final stop on DKNY’s Facebook page where it will be available for purchase, net proceed will benefit Action Against Hunger – a global humanitarian organization committed to ending world hunger. I would love to have that bottle, oh my! Text & picture: Unlimited PR.